35th Annual TLC Christmas Tree Festival! This year's event takes place on the weekend of December 3rd and 4th, with tickets available on our website. Join us on Saturday the 3rd for an evening of music, dinner, and trees, or lunch with us on Sunday for a late morning/afternoon of our children's choir, buffet luncheon, and of course, rooms full of decorated trees. The TLC staff "tree," a sleigh full of wrapping and seasonal gear, is on display in Matt's office. In addition to online, tickets can also be purchased by calling us at (303)776-7417. We are still accepting tree donations from the community, and item donations for TLC parent trees (New Baby, Family Fun). In addition to our evening event's wine pull (a $20 ticket gives you the chance to pull a bottle worth up to $200! 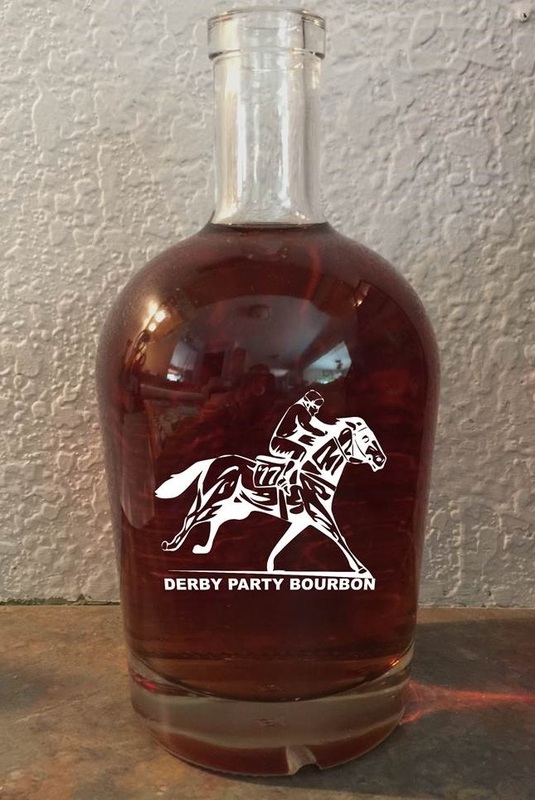 All bottles are valued at or above $15), the TLC board will be selling limited edition bottles of TLC Kentucky Derby Party bourbon from a local distillery. Bottles are $100 each and will be delivered to your house before the holidays. There are a dwindling number of tickets left for both the evening and morning, so claim yours now if you plan to join us (and we hope you do!). How Does TLC Build Positive Social Skills? TLC's pediatric therapy services (occupational, physical, and speech) help kids learn communication skills and social skills that transfer from therapy sessions into classrooms, homes, and future endeavors. Brett is a 3 year-old-boy boy with autism who receives speech-language and occupational therapy from TLC. Brett has minimal verbal skills, using babbling and sign language along with a few words. Developing rapport with Brett was difficult due to sensory and communication challenges that manifested as outbursts during playtime and transitions between activities. Since starting preschool and establishing relationships with consistent therapy providers, TLC staff have seen a decrease in Brett's negative behaviors. Brett thrives when given a visual schedule and routines. For example, with a visual schedule to map out therapy sessions, Brett is now able to help clean up after an activity, as well as initiate moving to the next activity by cleaning up. Successful transitions and increasing basic play skills have helped Brett reach goals with positive social interaction and improved communication. Continuing to collaborate and connecting with Brett’s team members (his preschool teachers, guardians, and therapists) will be crucial to ensure success in Brett's therapies that will positively impact him for life. When you send your child to TLC, they are receiving the full benefit of integrated services, whether special needs or typically developing. When you support TLC with your dollars, you help children like Brett build bright futures on a strong foundation.